It's end year, so most work places would be rushing to wrap up the year and ensure they meet their intended KPIs. Things have been packed for the both of us. I have officially begun my sabbatical leave. I was given leave earlier but work kept on calling as they were not confident in handling this one particular portfolio I left for them to continue. Well, things have more or less settled. Classes are back-to-back and I am now focused solely in completing my studies and achieving success. Through everything, fortunately, we both managed to take some time off to meet up for lunch. 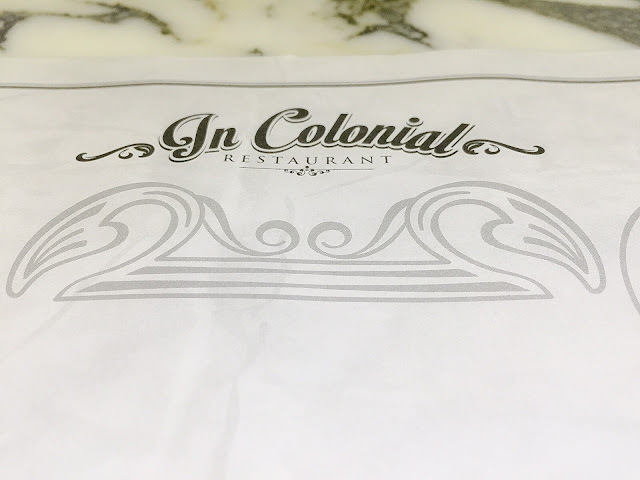 We decided to go to the In Colonial restaurant located in Intermark, Jalan Tun Razak. The restaurant serves Chinese food and is Halal. We've been here before and the food is really good. One thing I have to warn all prospective patrons intending to dine here though, the price is slightly more towards the expensive range. However, you won't be disappointed with any of their dishes. Service is excellent and coupled with the luxurious and old-world charm, you'd be leaving the restaurant with a big smile and totally satisfied. Hmm...the lighting sure is harsh on Hubs. 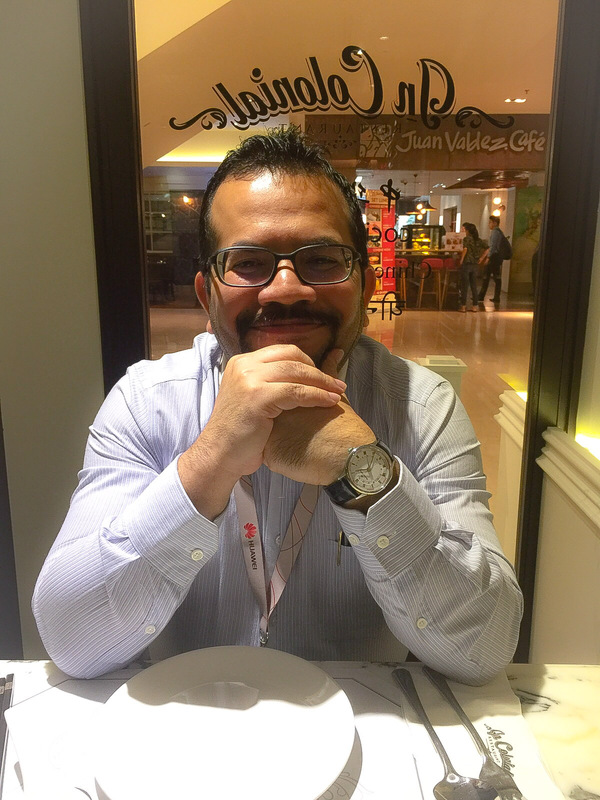 Here he is happily waiting for lunch with Wifey. My drink for the day. 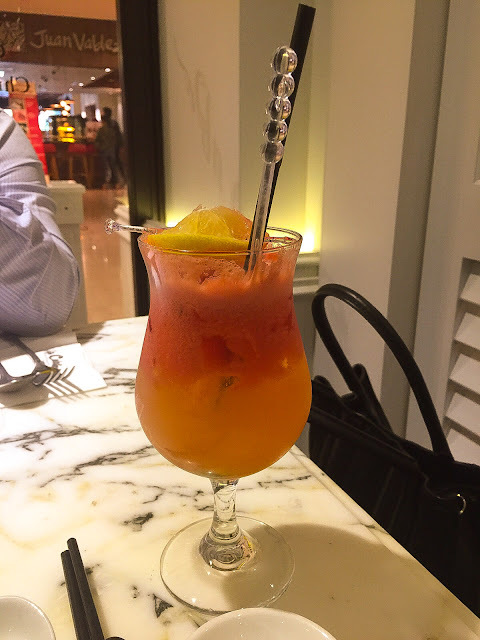 I decided to order a Mocktail aptly named 1000 Punch. No punch or kick just awesome watermelon-ny goodness mixed with other fruit juices. Very refreshing indeed. Our fave for the day. The restaurant's crab claw was generously filled with crab meat and prawns and fried to perfection. 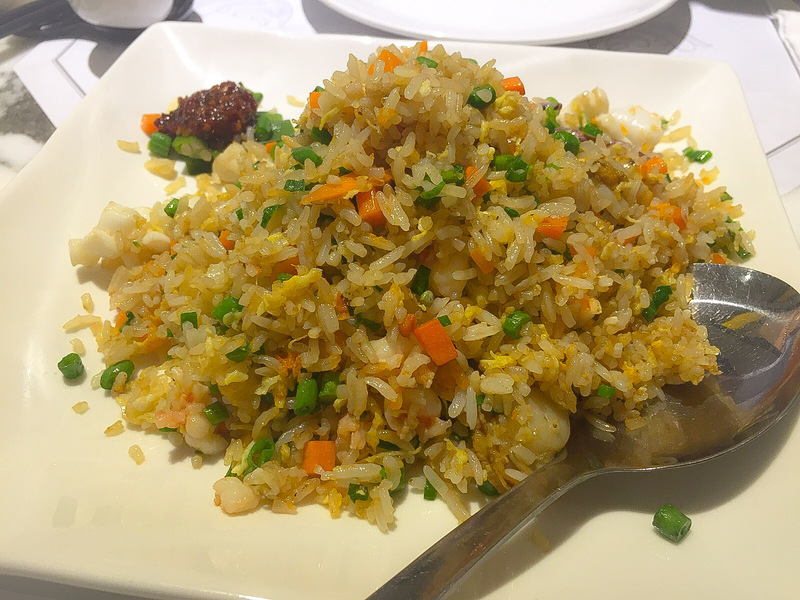 We opted for the Seafood Fried Rice for lunch. 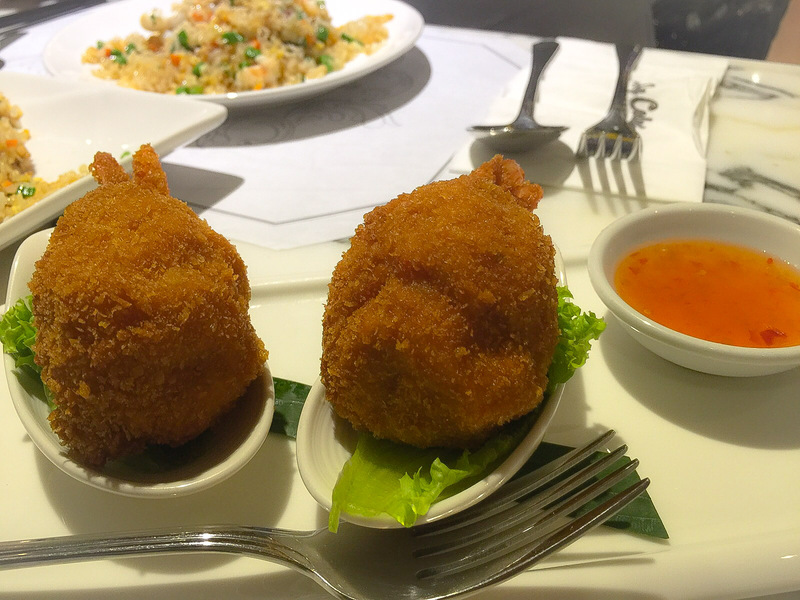 If you're a small eater, you can do it like we did and share between the two of us and add more side dishes to sample the rice with. So, for those interested, their opening hours are 10.30 a.m. - 11 p.m. everyday. Definitely a must try. Good food with a chilled enough ambience without having to strain your voice or hearing to enjoy your conversations with your other half and friends. P.S. They also have private rooms for private functions. Definitely a place I recommend for family gatherings.